Before becoming Director in 2005, I was involved with the Gallery in two different, equally informative capacities. Firstly, in the mid 1990s while working at the British Council, I was invited to become a trustee. For me it was a great chance to get inside an institution, which I knew only from the outside. I had long admired the achievements of the first two directors, Sue Davies, (tenure: 1971-91) and Sue Grayson Ford, (tenure: 1991-94). Not only were they both female at a time when it wasn’t common-place for women to hold Director positions, but they also put their own very specific marks on the institution – and therefore Photography. 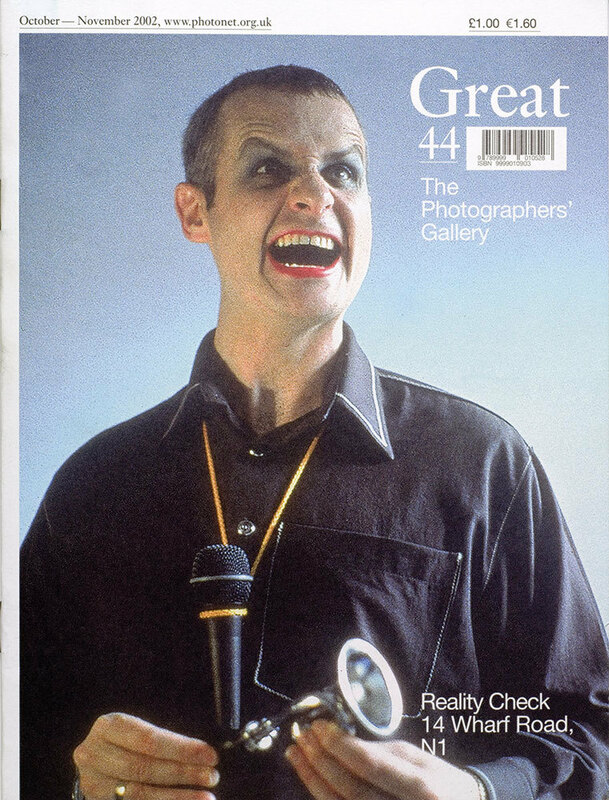 The impetus for founding the gallery was born from Sue Davies’ frustration at the lack of support for, and belief in, Photography as a serious art form. In 1971 she opened the doors to the UK’s first Gallery dedicated to Photography in an old tea room in Great Newport Street, Covent Garden, London. From the outset, Davies energetically promoted the creation of a photographic community in London, similar to the New York photo scene. She invited key international figures such as Henri Cartier Bresson, Arthur Tress and JH Lartigue, not only to show in the space, but to give talks and workshops, offering them the small bedsit at the top of the Georgian house as a way of encouraging them to hang out. Sue’s parties upstairs at 8 Great Newport Street during the 1980s became legendary and as well as a way of sharing ideas and practice, many long-term friendships and partnerships were forged there. The other Sue (Grayson Ford) came to TPG from a post as Director of the Serpentine Gallery in 1991. Her arrival cemented the Gallery’s reputation as a major player on the cultural landscape and marked a wider cultural shift towards Photography being understood and appreciated as one of the most significant and communicative art forms of our time. Whilst her term as Director was relatively short-lived compared to other directors (most of whom remained for a decade or longer), Sue G-F’s directorship represented the growing recognition of the medium within the broader field of contemporary art and identity politics and away from its perception as a craft. I joined as a Trustee just as the board was embarking on a search for a new director to follow Sue, and was delighted to be on the selection panel for this important role. Paul Wombell was appointed in 1995 and remained director until 2005. His influence brought a new focus to the gallery’s programme, as Paul recognised the fundamental impact which new media would have on what we had understood until then as ‘photography’. A visionary curator, Paul had previously run the important and influential photography gallery Impressions in York. He took firm control over the artistic programme, curating many pioneering shows such as Video Nation as well as supporting the careers of a promising new generation of curators including Kate Bush, Jeremy Millar and Lisa Le Feuvre – all of whom have gone on to contribute in their respective ways to the field through curating, teaching, writing and taking the helm of other visual arts organisations. Acting as a trustee provided me with unparalleled insight into the workings of the gallery. From the start I was impressed by the energy, vision and skill, which went into every aspect of the gallery’s operations. In addition to the quality of the artistic programme – which was the public face of the gallery – I was hugely impressed by the passion and expertise of the team members across all areas, education, marketing, finance and operations. Though we remain a small team today, the even smaller team then clearly revealed to me that it is the quality and commitment of the people you appoint, rather than the size of a team, which makes all the difference. It was presented at what is now the Victoria Miro/Parasol Unit site, not far from Old Street. Awaiting the architectural refurbishment which was to transform it into the striking space it is today, it was still at that point an empty shell (similar to 180 Strand today), perfect for us to present the work of 15 of the most interesting and provocative new British lens-based artists. It also provided an opportunity to promote the work of TPG abroad since it subsequently toured to 5 European venues – Riga, Prague, Tallinn, Krakow and Ljubljana. Establishing TPG’s profile abroad was an important factor in sticking its head above the parapet as a major player and ambitious programmer within the international field. The Gallery has never veered away from mixing practices and genres, juxtaposing fine art photography with the work of documentary practitioners, presenting the decisive and the indecisive moment. When I was appointed Director in 2005, I knew that it was this commitment to presenting the expanded field of photography as well as breaking down conventional hierarchies of display that I wanted to uphold. Given my own background (born, educated and trained in Australia) as well as my experience at the British Council, it was – and is – equally important to me that we disseminate our programme and talent internationally as well as ensuring regional impact. I am especially keen to demystify national tropes and present different viewpoints both inside and outside the UK. I remember how hard I had to fight when working at the British Council in the early 1990s to get Martin Parr’s The Last Resort shown in Poland – for example – as his view didn’t fit the usual perception of British society. The ability to propose alternative views and present other perspectives is what makes photography so effective as a medium. I believe that the gallery should showcase the full spectrum of the medium, from its evolution as a tool for “drawing with light”, through its documentary and experimental modes, to exploring the possibilities for how we understand photography in the age of the networked image. Given the speed and force with which an image can be shared today, it is vital that TPG offers a place to slow it down; to create an arena both onsite and online where we can reflect, process, interact, produce and be inspired. We celebrate our 50th anniversary in 2021. What a journey it has been.